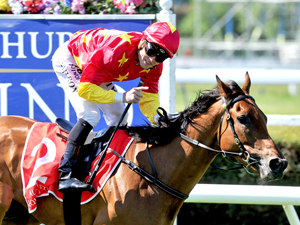 Outstanding three-year-old Madison County repaid his many supporters when he carried the favourite’s tag to a comprehensive victory in the Gr.1 Al Basti Equiworld Dubai New Zealand 2000 Guineas (1600m) at Riccarton. The Murray Baker and Andrew Forsman-trained Pins gelding had jumped to the top of the pre-race betting markets when he took out the Gr.2 Hawkes Bay Guineas (1400m) at Hastings in October. 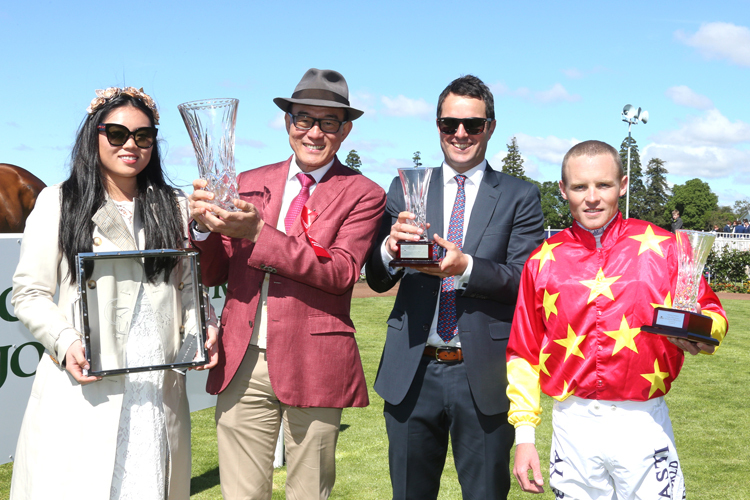 Despite a slight hiccup when finishing third in his final lead-up run at Te Rapa, punters never wavered in their faith in the China Horse Club-owned galloper as he delivered in fine style, courtesy of an ice-cool ride by jockey Matthew Cameron. Positioned on the rail behind a solid early speed, Cameron had Madison County ticking over nicely approaching the home turn, before finding clear-air in the straight. Madison County quickly mastered fellow Cambridge raider Dawn Patrol as he dashed away to win by two and a half lengths with Sir Nate closing gamely for third. It was Cameron’s second win in the race after he piloted Xtravagant to victory in 2015, although after turning down the mount on stablemate and rival The Chosen One, he was quick to admit he hadn’t always pulled the right rein when choosing a ride in the event. “They went quick down the back, then slowed up and were all bunched I opted to come off into a bit better ground as I know he has an electric turn of foot and a few of them were stopping. Co-trainer Andrew Forsman admitted there had been some minor concerns prior to the race given the Riccarton surface had been subjected to heavy rainfall in the preceding 48 hours, but as the day proceeded it continued to dry. “I guess there was a query on the track which was a little bit niggly,” he said. “This was our number one target as we had labelled him a Guineas horse after he won his two-year-old race last season. Forsman was also pleased to secure the victory for the gelding’s owners who have invested heavily in New Zealand and are one of the dominant ownership forces in world racing. “It’s great for New Zealand racing to have them (China Horse Club) involved in the New Zealand thoroughbred industry,” he said.